Cats and plants do not go well together. Since cats are free to roam throughout the neighbourhood, visiting felines are a common sight in many gardens – but they are not always welcome. Not only do cats eat precious plants, they use your garden as a toilet, ruining the soil with their infertile faeces. But there are many solutions for keeping cats out of your garden, including cat deterrent plants. Cats won’t generally be repelled by plants as such, but they can be deterred by the scents or textures of particular shrubs. By carefully placing these plants at entry points you can cut down on cats wandering into your garden. Mixing them into borders can prevent cats from climbing over your flowerbeds, where they dig and disturb plants and seedlings. The scaredy cat plant was bred in Germany specifically as a garden pest repellent. It emits an odour when animals brush past and can be effective against cats, dogs, foxes and rabbits. Unfortunately the smell of dog urine it gives off is so strong that it is unpleasant for nearby humans too. It’s easy to grow, likes the sun and is drought resistant, but will need protection from the frost during the winter months. It grows best in dry soil, which is ideal as cats usually avoid damp patches anyway. You can expect it to grow no taller than 2 feet and have beautiful blue or purple flowers. Luckily, lavender comes with a scent that’s nice for us but unappealing for felines. These purple flowers are evergreen, so they act as a year round deterrent. Choose the tall varieties and plant them at the front of your borders as cats won’t jump over if they can’t see where they’ll land. Another fragrant option is rosemary, a herb that’s great for cooking as well as keeping cats at bay. It likes dry soil and a warm climate, but is also evergreen. Rue is a shrub that kitties are adverse to. Plant it outside and sprinkle some of its leaves on the patio or inside if you need to warn cats away from these areas. But be careful since rue is poisonous, so always use gardening gloves when handling. If eaten it can cause nausea, vomiting and convulsions. 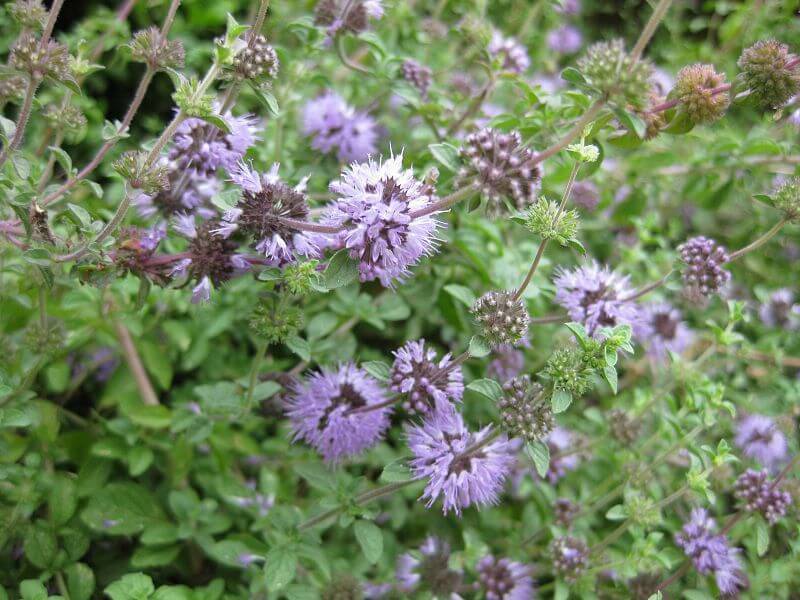 Also known as pudding grass, pennyroyal is the smallest of the mint family. But unlike a lot of mint, this variety is a deterrent for cats as it gives off a very strong spearmint fragrance. Once used in Roman cooking, pennyroyal has also had medical uses (despite the oil being poisonous) and served as a pest deterrent for early settlers in America. Cats don’t like curry. This spicy plant grows into a thick bush that releases its odour when animals brush past, offending the creatures with both its smell and coarse texture. You may want to use this one sparingly, however, as it is seen as a weed by many due to the harmful effect it can have on other flowers. Citrus is well know to ward off felines, so plant some lemon varieties to help with your natural defenses. Lemon balm produces white flowers in the summer and is great for attracting honey bees. Lemon thyme is an evergreen shrub that needs lots of sun and good drainage. It has pink flowers in late summer that attract bees and butterflies. Cats won’t tread on uncomfortable surfaces, so covering exposed ground with spiky plants can be a great natural way to keep the kitties off. Grow thorny plants like roses, perennial geraniums or pyracantha over any bare soil in the flower beds. You can also make a spiky wall out of hedging like blackberry, hawthorn and holly to prevent cats from even entering your garden. Place some of these plants around the boundaries of your garden to ward off cats passing through the neighbourhood. Others work well around the front of flowerbeds as they stop cats climbing in to mark their territory. Cats spread their scent through urine and faeces as a reminder that they can visit this spot again, so preventing this is crucial for keeping them out. Cat deterrent plants ward off cats and physically stop them from digging up the flowerbeds to use as a litter tray. Layer mulch and pebbles around your plants to make it even harder for cats to dig the soil up. It’s also worth putting some of the plants in pots, so you can move them around if you see cats entering via another route, or if they come across the patio. As well as deterring cats through planting, you can direct them to specific areas with attractive plants and so control their impact on the garden. Cats are attracted to catnip (Nepeta cataria) – hence the name – mint and honeysuckle, so simply plant these in the places you’d prefer cats to visit. At Primrose we know a thing or two about pest control. We’ve written a list of ways to keep cats out of your garden and stock a range of cat repellers, including ultrasonic devices and water sprayers. Our bestselling Pestbye Cat Repeller would make a great companion to deterrent plants to boost your defenses against feline invaders. Simply place it in your flowerbed and it will emit high frequency pulses whenever cats come near to send them running! Rosemary rebelled cat? I grow rosemary in my garden but my cat still use my garden as toilet. These plants won’t repel cats, but they can deter them from certain areas. 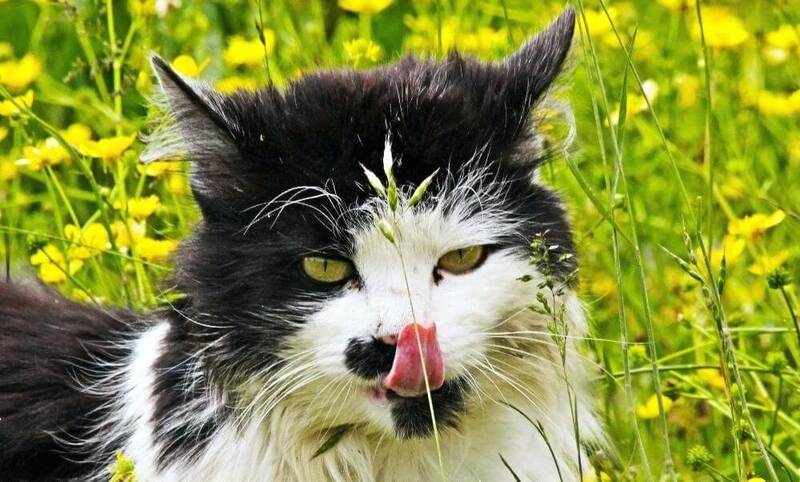 I’m guessing you don’t want to keep your cat out of your own garden, but you could try placing some of these plants in the areas you don’t want used as a feline toilet! Thanks George, this is a really comprehensive list and one our readers will love! Interesting that plants such as rosemary and lavender, are as you said “unappealing for felines” ! Tagetes ( French or African Marigolds) is effective but only during summer months, and Jeyes Fluid is a smell they detest ( we use it on the drive and in front of the garage) but the rain soon washes it away but its fine if you don’t mind the smell of carbolic acid. personally I think the UK should adopt the Australian Law where cats are not free roamers and purchasers of new housing are barred from owning cats, Aussies are very protective of their wildlife and properly so. A great deterrent for all creatures in the garden is big cat pooh! If you live near a zoo, ask if you can get a bucket full of lion, tiger or other large cat pooh, scatter it inbetween the flowers, trees or around the garden. It is surprising how quickly you can get rid of unwanted guests. A great deterrent for all creatures in the garden is big cat pooh! If you live near a zoo, ask if you can get a bucket full of lion, tiger or other large cat pooh, scatter it inbetween the flowers, trees or around the garden. It is surprising how quickly you can get rid of unwanted guests. Good for the garden too.